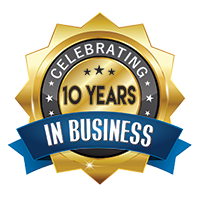 We are celebrating our ten year anniversary of being in business! Serving the Edenvale and Johannesburg Gauteng area as a whole, this is a good time to reflect and share our story, so far………. The business started out as a rubble removal business by Sydney’s father called Mannie removals in 2003. 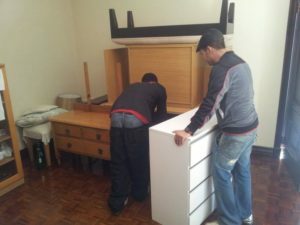 In 2008 Sydney joined the business with fresh ideas, he started Sydney’s Furniture Removals. With both Sydney’s and Mannie’s attention to detail, hard work, commitment, excellent customer service and with a wonderful moving team, the company has grown significantly over the years. 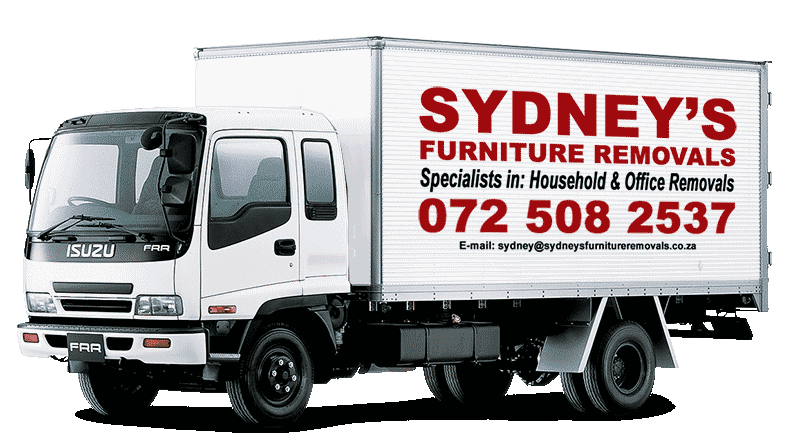 Sydney’s is a household and office furniture removal company with our Head Office in Johannesburg, doing moves throughout Gauteng. We provide owner supervised furniture removal services in and around Edenvale, Germiston, Bedfordview, Boksburg, Benoni, Fourways, Paulshhof, Randburg, Sandton & Roodepoort, in fact the whole of Gauteng. Our comprehensive range of services include, but are not limited to: Reliable and efficient furniture removal services both domestic and offices using correct equipment from blankets bubble wrap and other protective equipment. Our furniture removal experience makes your next move to your new home or office quick, easy and stress free!! We know that moving home or office is not an easy or enjoyable task, so our furniture removal teams at Sydney’s which provides a stress free and professional service. We offer free quotes, simply fill in the handy online quotation form or feel free to contact Sydney. Even if you’ve already given your place a deep cleaning, it’s still a good idea to spruce it up before you move everything in. Vacuum the carpet, wipe down countertops, and dust drawers and shelves before you put anything away. Fill a carry-on sized bag with everything you’ll need to get settled into your new home, like toiletries, medication, pajamas, shoes, and a couple days’ worth of outfits. The key to painless unpacking is to over-prepare. You can create a number key, use color-coded tape, or cover each box with detailed Sharpie notes. That way you won’t have to dig through three boxes marked “Kitchen Utensils” just to find your whisk. Before your energy flags and your motivation inevitably diminishes, focus on safely and efficiently packing fragile items like dishes, art, and holiday decorations. You can save the easy, no-brainer tasks, like packing clothes and linens, for last. After you scour online reviews and testimonials, narrow your list of moving companies to three or four, then make some calls to get direct quotes. The cost shouldn’t be your sole deciding factor, though – inquire about the company’s insurance policies, timeline, method, and liability practices, too. Mark moving boxes that are fragile. You don’t want textbooks stacked on top of your grandmother’s china. A good place to look for free boxes is your local bookstore. They have more boxes than they know what to do with and will be more than happy to hand them over for free. Plan how to move fragile or unusual items, such as guns, pianos, fine art, pool tables or safes. The list goes on and on. The movers you hire may not be qualified to move some larger (or more expensive) items, so you may need to hire a specialty mover to do the job. Make sure you’re aware of exactly what the movers you hired will and will not move. If you downsizing plan a garage sale. Then, donate anything left that you couldn’t sell. Thank you very much to Sydney & his team for assisting us with our moves ~ caring & efficient both times! Thank you very much to Sydney and your amazing team. Our move was handled in the most professional way with very efficient staff. We highly recommend this moving company for your move. They are by far the best moving company we have ever used. Sydney remained calm and friendly throughout the move, which certainly helped to alleviate our stress. What a great pleasure it was working with Sydney and his staff. Really take care of the your goods as if it was there own! A very big thank you to Sydney and his crew. Great service and a reasonalble price. Will definitely use you guys again and would recommended all to give them a try! Professional, friendly, helpful, marvelous customer service, and the best moving company we’ve used by far. Thank you. In jobs like this, you want people to do what they say they will do, and communicate efficiently. This company did that, and offered competitive rates too. I would recommend them. What a pleasure! This is the only way to describe thier service. Highly recommended for efficiency and good value for money. We have used Sydneys Removals three times last year, The service was fantastic, friendly and fairly priced We Highly recommend them. I recently used the services of Sydneys Removals to move furniture into my 2 bedroom house and I found them to be very willing, friendly, efficient and they took care with handling my furniture. Their prices are very competitive and I particularly liked the fact they offered a fixed price for the job rather than other companies who charge on a per hour/journey basis. I would certainly recommend them to anyone looking to use a removal service. Definitely my first choice from now on! very reasonable rates very good people! They did the job on time, their staff were very helpful, a great removal company! A service I would definitely recommend reliable, helpful and very affordable. Have a question? Please send us an email and we will contact you.